South Korean search portal Naver has unveiled a full list of K-pop acts joining its new streaming mobile app named “V,” set to launch Aug. 1. A total of 23 K-pop teams will be streaming their activities and off-stage life on the video app, interacting in real time with the global audience and fans via mobile devices. Joining the lineup Friday as the 23rd member was SM Town, an umbrella brand comprising all 62 acts under the SM Entertainment label, including TVXQ, Super Junior, SHINee, EXO and Girls’ Generation. The 22 already onboard are: BTS, WINNER, iKON, Wonder Girls, Kara, CNBLUE, Girl’s Day, Miss A, 2PM, Eric Nam, AOA, B1A4, GOT7, Apink, Beast, Monsta X, Sistar, F.T. Island, VIXX, Jun Hyoseong, Big Bang and Infinite. 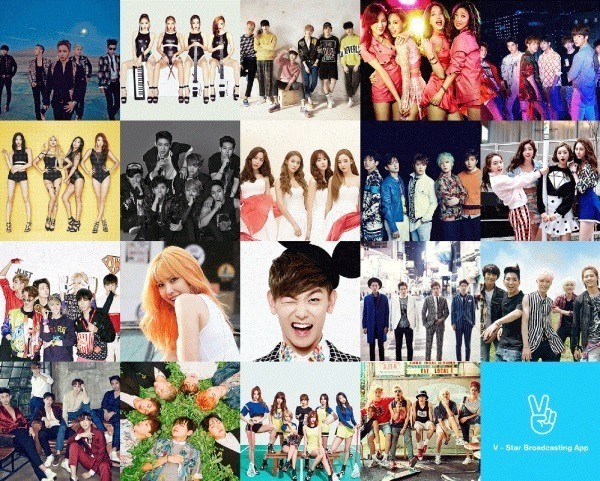 Naver plans to add more singers, and even actors, to the lineup, going forward. The V app, currently downloadable on Android-based mobile devices only, is the Korean Internet giant’s latest attempt to expand its reach beyond Korea, capitalizing on Hallyu, or the spread of Korean pop culture overseas. Targeting mainly Asian countries where K-pop is popular, such as Japan, China, Taiwan, Thailand and Vietnam, the app’s user experience design and features are entirely in English. The service will become available on the iOS platform in mid-August. “The V broadcasting platform seeks to provide a bigger window of opportunities to introduce K-pop content overseas,” said Choi Seo-hee, spokesperson for Naver. First up on the app’s live broadcasting schedule are YG’s two hottest idol groups -- WINNER and iCON -- at 10 p.m. on Aug. 1. Other highlights of the upcoming programs are the live performance of Big Bang from 11 p.m. on Aug. 4 and a live stream of a BTS concert in Thailand on Aug. 7 from 10 p.m.
For more details, visit www.vlive.tv.